Poachers Pantry is set in the heart of a working farm with fields of grazing sheep, vineyards and lake. A stunning country location with endless possibilities for your personalised event. Ceremony, photography and reception all in one stunning rural location. 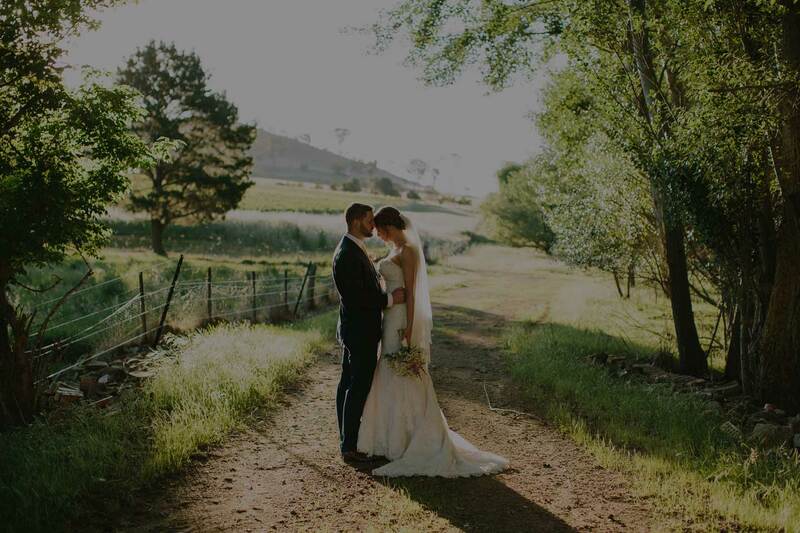 A ceremony on the Homestead lawn followed by drinks and canapes for the guests whilst the bridal party have a photo shoot in the gardens, fields and vineyards. A reception in the restaurant or marquee where you will enjoy a menu featuring the finest of our regions produce. Escape to the regions wine country for your next event and share our passion for the wines we grow and the meats we cure and smoke. From an intimate dinner for a few under the golden elm through to a gala event in our marquee we have a spot that will suit your event. Interested in a Wedding or Event at Poachers Pantry? We would love to hear from you, enquiry today via the form below or call us on 02 6230 2487.